As a writer, I can tell you that life is a story that unfolds page-by-page as we live it. Some of it we can predict and when we get to those particular pages in life, those where our intuition is right. However, most aspects of life are totally unpredictable, and much like a novel that we can’t set down, each page brings twists and turns that leave us only wondering what will happen next? As a person, much like a voracious reader, I learned to stop trying to predict life, to guess or try to control what comes next. Why? Because like a page-turner of a novel, we can rarely guess what comes next. Think about your own life. Go back 10 years. Could you have predicted the twists and turns – the unforeseen plots – that got you to where you are today? Certainly not. Yet, it’s human nature to want to know how’s it all going to unfold? People may give you answers, from friends giving you comforting thoughts to medical professionals giving absolute diagnosis. However, no one truly knows. The couple who everyone proclaimed would be together forever ends up in a bitter divorce, while the individual with a grim medical prognosis goes on to a inexplicable cure. We’ve all seen these plot twists, the unpredictable nature of life. Therefore, if you try to predict life over the long term, you’re likely going to be both disheartened and surprised much of the time based on any given circumstance. So, if it’s so difficult to predict life, how do we handle the twists and turns, the unknowns that are bound to come our way? 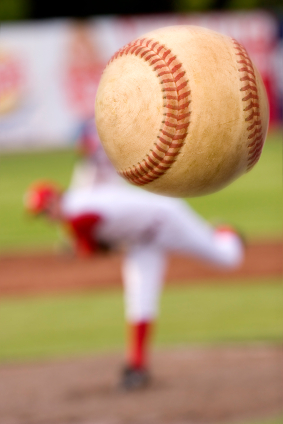 To use a sports analogy that’s fitting, life throws us two pitches: a predictable fastball and an unpredictable curveball. But, here’s what’s astounding, in baseball and life: researches found that when batters hit a curveball, they’re more likely to hit a home run (it has to do with the spin of the ball, the way it deflects from the bat, and so on). Therefore, both our biggest disappointments and successes in life often come from the unforeseen, an unpredictable curveball that can either strike us out or bring us amazing opportunity. Yet, again, one can’t predict the outcome, but merely take each ball – life’s twists and turns, that is – as it comes. What I’ve learned is to not try to predict or question the future, but to embrace whatever it brings. Whether life sends me a predictable fastball or unpredictable curveball, I accept them equally and take my best swing. Life is a novel – a baseball novel – and I’m forever excited to see how the plot unfolds as my protagonist strives to be the Curveball King.